inside: tips for making tomorrow your most productive morning yet. Stop the yelling and mom guilt, and have a good morning. Three taps on the door. "Mommy, is it morning yet?" is whispered into the crack where the door meets the frame. Every morning, my daughter softly approaches our door and does the same thing. Within minutes her brothers are awake and ready to wrestle, scream, and wreck the peaceful start to our day. I began dreading our mornings. When she would tap on the door I would yell "go back to bed! It's not morning yet!" and then feel bad for yelling at her. I would allow her to come in, and then the rest of my children would come barreling in and disrupt our easy, peaceful morning. I would get so mad at them all. Of course, I would start by calmly asking them to stop jumping on the bed, but then quickly realize that wasn't working, and would yell. I'd feel so guilty for being that mom who screams at her children first thing in the morning. Last weekend we decided we had enough of starting our day on the wrong foot. We were desperate for relief from this awful roller coaster we were on. Not to mention the intense stress we were all feeding into. The rough mornings led to rough days, and my daughter was getting the brunt of it. She would cry before leaving for school in the morning and it would affect her whole day. She would come home tired and beaten down. I felt deep sorrow for ruining what could have been a great day for her. The mom guilt was real, and I was determined to fix it. I made a few small changes to our life, and now we start our days with happiness instead of dread. I've mapped out the change so you too can implement these changes tonight and prevent the mom guilt tomorrow. I'm not judging you. You might be judging you, but I'm not. At the end of the day, you just want to mindlessly scroll and read those judgemental articles about the moms who don't go to birthday parties anymore, or the pictures with inspiring words. Anything you can do to keep your mind off the dishes, the laundry, or the questionable smell coming from under your son's bed. Your brain is so fried from all the decisions you made today. Maybe you just want to relax. Social Media is not relaxing. It's keeping you up much later than you want to be awake and it's wasting your time. Studies show using your phone in bed decreases your total sleep time as well as sleep satisfaction. Set a timer for yourself if you must use your phone, and then turn it off, or put it out of arm's reach. You'll sleep better and longer, so when your alarm goes off in the morning you'll be ready to seize the day. Remember when your kids were smaller, and you had to create a good bedtime routine for them so they would sleep better? Even something as simple as brushing their teeth before laying them down helped them get into bed easier. The same reason that worked for them is the reason it will work for you. Start stretching about an hour before you're ready to lay down. This might be a good time to put away your phone too. A quick stretch will help you relax while keeping your muscles healthy. Then brush and floss your teeth. Lastly, pick up that book you've been meaning to read . . . and read it. Now let's talk about tomorrow. You know that same annoying ringtone you wake up to? Let's change it. Your old ringtone was the ringtone of snoozers. Since we have a new ringtone now, let's agree to stop using the snooze button. It's not helping you, my friend. It's giving you this false sense that you can get more sleep and have more energy. It's just making you jolt awake more times, and probably making you more tired. Set your alarm for the time you want to get out of bed, not before. Then get out of bed when the alarm goes off. Make the decision now to fix it tomorrow. In fact. I have a better idea. 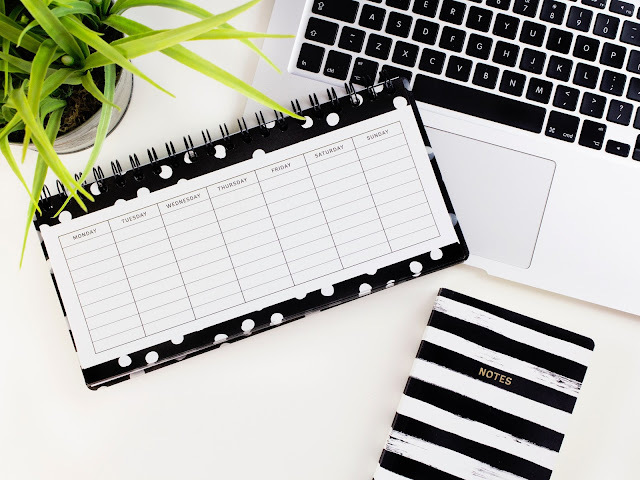 Aside from the time you wake up in the morning and the time you leave, do you have a schedule? Do you eat breakfast (you should), and when? Flesh out everything you want to get done each morning and work backward from your leave time to find out when you should wake up. Schedule your time to ensure everything gets done. Your morning will look different, but there is a good starting point. If you leave your house at 7:30 and you're super stressed and yelling the entire time, try waking up half an hour earlier. If you need time to yourself before the children wake up, make time for yourself. Waking up earlier doesn't have to be as hard as people make it seem. Set your alarm, and get up. If you can't get everything done in the morning, do some things the night before. Who says the grapes have to be cut that morning? Getting up early isn't just setting an alarm like countless blogs and podcasts say. You can do it. You're worth it. You can have a nice morning where you sit down and drink your coffee with your spouse. 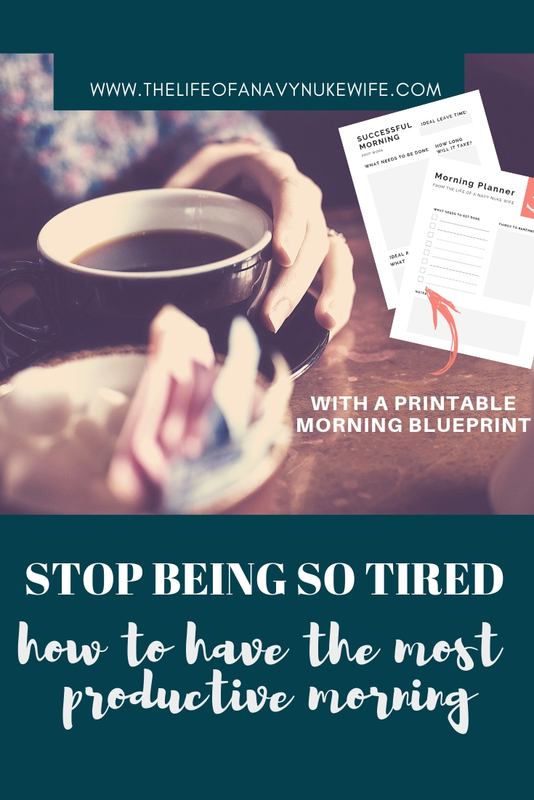 Click through below to get your free blueprint to redo your mornings. What can you do tonight to make tomorrow easier?